When it comes to Short-Term & Vacation Rentals, it's important to partner with a local professional! The ability to properly manage a vacation rental is not easily achieved by your ordinary management company and non-existent for web-based booking sites. In addition, many property management companies have outright abandoned their efforts to manage vacation rentals on the First Coast. At Suncastle Properties we know Ponte Vedra Beach and Florida's First Coast, it's our home. 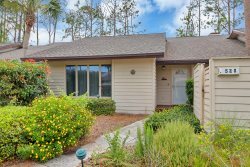 Our beautiful communities, weather and people have made Ponte Vedra Beach and First Coast a popular vacation rental destination year-round for many travelers coming from all over the globe. As a property owner, if you are working through the decision to rent your home as a vacation rental, call us so we can help you clearly understand the benefits and challenges of going down this road. We are here to help answer any questions that you may have and whether you hire us to manage the vacation rental or not we can give you some great advice and tips. Property Analysis: Not all properties are created equal & not all properties can be vacation rentals. We will help you determine if renting as a vacation rental is the right decision for your specific property. We will work with your HOA to determine any restrictions, if applicable. Once a decision to rent as a vacation rental is made, we will evaluate the rent on comparable properties and determine the best rental rate for your property depending on the season. We will never charge you any fees for assessing your property. We only get paid once you sign a management agreement with us and we begin occupying your property with renters. Marketing & Advertising: Marketing a vacation rental is completely different than marketing a traditional rental. With the proper systems and processes in place to market your property and maintaining a year-round availability calendar, you can rest assured occupancy rates will be optimized. With the growing popularity of vacation rentals many vacationers are booking well in advance for their upcoming holidays. Maintaining an accurate real time calendar of availability is a must. At Suncastle Properties we not only handle this crucial element accurately, we pride ourselves on its accuracy. Your property will be advertised year-round and we will never charge you additional fees for marketing or advertising the home. Guest Management: At Suncastle Properties we will handle everything from booking to check-out. Our reservationist will book guests as far as a year in advance. We will prepare and execute all rental agreements, collect reservation fees and resolve any guest issues during their stay. We have reliable & safe check-in check-out procedures in place for all our vacation rentals. Our staff is also available via our emergency hotline 24/7. As a property owner, you can rest assured that if your guest requires services above and beyond the norm we have the ability and resources to provided them with 5-star service. Accounting, Licensing and Tax Payments: You may not be aware, but if you are operating a vacation rental, the State of Florida and the local county requires you to pay sales tax and tourist development taxes on every reservation. This is much the same as the tax a hotel patron has to pay when they stay in a hotel property. If you are currently operating a vacation rental in Florida and were not aware of this call us ASAP so we can help you get into compliance before any fines are assessed by the county or state. We will collect, manage and make all tax payments on your behalf once you hire us to manage your vacation rental. Contact us for more information or setup a consultation today at [email protected] or by phone at (904)285-5585.